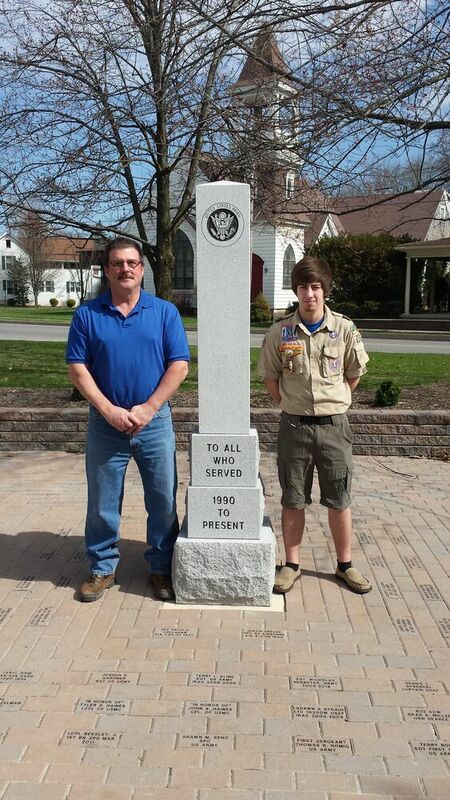 Dillon Kerstetter a Midd-West High School student and SUN Area Technical Institute Electronics Technology student, recently earned his Eagle Scout. Dillon put over 100 hours into this project from start to finish. 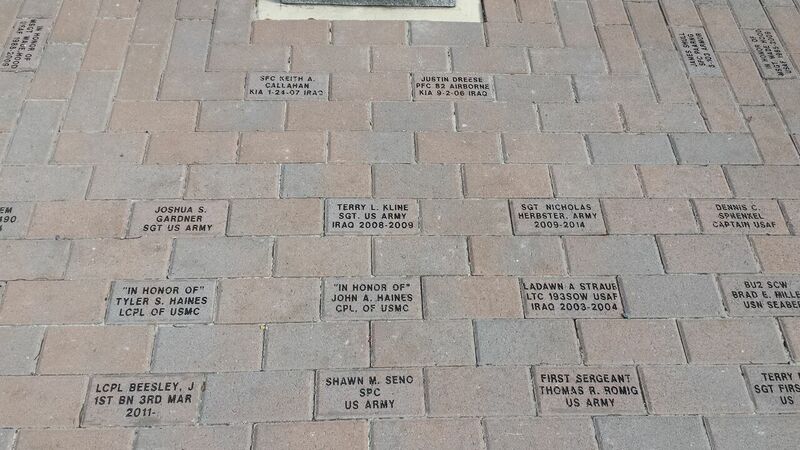 The project he did honors those who served in the Armed Forces in Snyder County from 1990-Present. 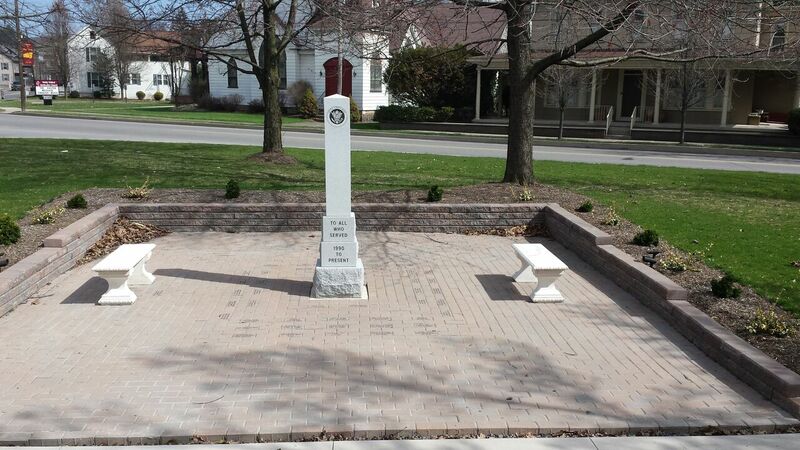 Many thanks to all who contributed their time, materials and efforts to his Eagle Scout project. 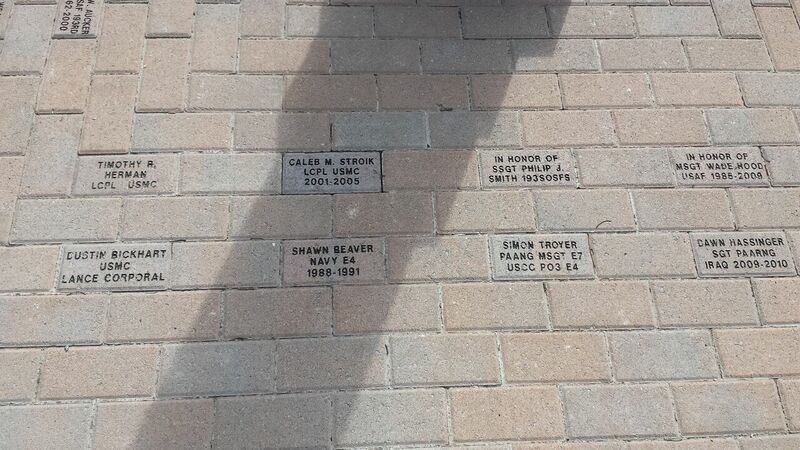 Dillon is the son of Lori Shull of Middleburg, and Michael Kerstetter of Beavertown. Dillon’s future plans are to attend Penn College and major in Electronics Engineering. SUN Tech is very proud of all the hard work, time and dedication you put into this project. Electronics Technology students at SUN Area Technical Institute receive a world-class education that provides college-level coursework and the potential to earn college credits. This is possible through the PC Now program from Penn College of Technology. This program provides students with the opportunity to earn college credits by integrating Penn College curriculum and instruction by Penn College professors directly into your students education at SUN Tech. 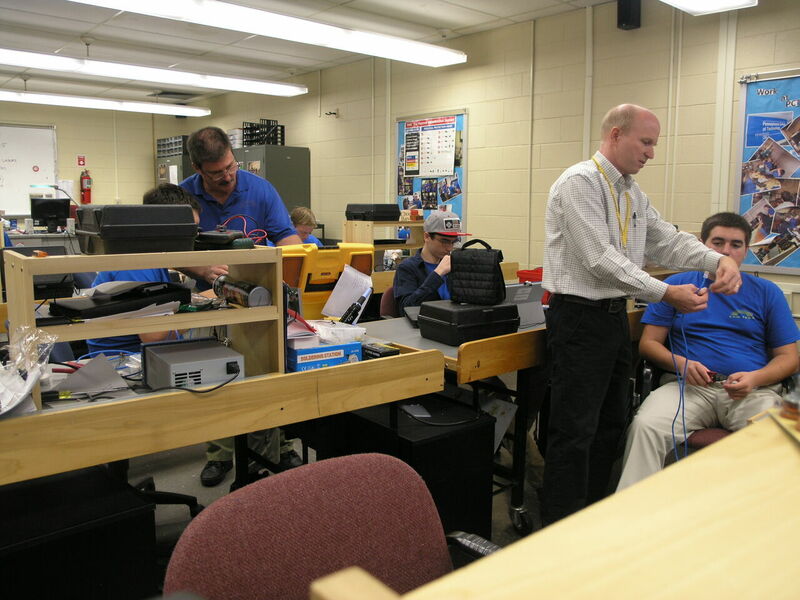 Pictured here are Electronics Technology instructor Mr. Len Schwartz and Penn College Associate Professor of Electronics Mr. Jeff Rankinen assisting students in the electronics lab. This team teaching approach has yielded many successful students who have obtained college degrees and rewarding career placements in the world of work. After a successful year at SUN Tech, these students receive 12 college credits and have advance standing at their college. Al Thomas, author and professor in the Automotive department at Penn College of Technology, came to visit the Collision Repair Technology program at SUN Area Technical Institute. Professor Thomas wrote the text book used by the Collision Program and came to talk to the class about the automotive paint industry, education, employment, and other topics. Also featured is Collision Repair Technology graduate Tyler Spear, who is currently attending Penn College of Technology. The Electronics Technology students pictured here are earning credits at Penn College during their senior year at SUN Tech. Thanks to Penn Tech’s PC Now program, students in several of our full-time programs can get a jump-start on their college education and save thousands of dollars in the process. For more information see the Penn College NOW website. SUN Tech is hosting Penn College of Technology on September 12 to talk about the PCNow program, a joint venture between Penn College and SUN Area Technical Institute that can earn your student advanced college placement while enrolled at SUN Tech. For more information including date, time, and location check out the event page. 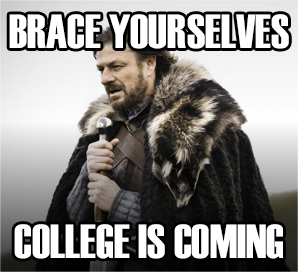 We’re probably not bursting anyone’s bubble when we say that paying for college is hard. Luckily, students at SUN Tech can earn college credits in high school by completing their program of study, but it’s up to the student to claim them. Up until now that’s been a confusing process. Enter www.gettingthemthere.com. Penn College of Technology understands that the transition to college is a real pain and created Getting Them There to help students of all ages prepare for college. Getting Them There is custom-made for tech ed students and provides all the guidance and resources you need to get from technical education to college and claim all the credits you earned during high school. The site provides links to all of the forms you need to submit to claim your credits. As a SUN Tech student there are just a few forms between you and thousands of dollars in tuition savings. Check out Getting Them There and make it happen! Hello, my name is Vance Thomas and I’m currently a senior at Midd-West High School, and I am spending my last year of school here at SUN Tech. I chose to come here because of the wide range of possibilities that this school brings: the large number of courses to take, college credits, hands-on experience, as well as qualifying for extra college credits by applying for the PCNow dual enrollment program. PCNow allows us to take two 3 credit Penn College courses while at SUN, giving us a head start on our college career. We also have a chance through a partnership with Bloomsburg University to obtain up to 15 AP credits toward their new Computer Forensics Bachelor’s Degree Program. In this class, Computer & Networking Technology, you learn how to repair and build computers, configure network servers, create web pages, install fiber optic and copper cabling and install networking equipment such as switches and routers and lots more. The year is going quickly and I’m learning quite a lot about this course and what it includes. I hope to pursue a career in Computer Forensics, so many of the current activities we do here will greatly help me in the future.